A major Australian trial involving more than 19,000 people has shown taking a daily dose of aspirin does not lower the risk of death, disability or cardiovascular disease, but it does increase the risk of major bleeding problems. The study, known as the Aspirin in Reducing Events in the Elderly (ASPREE) trial is the largest clinical trial ever conducted in Australia. It took place over 5 years and compared the effects of aspirin and a placebo in people over the age of 70 who did not have cardiovascular disease. The trial found slightly higher rates of death in those taking aspirin, and no benefit on the rates of cardiovascular disease or disability-free survival. CAN ASPIRIN PROLONG GOOD HEALTH? The take-home message is that if you are an Australian of 70 or older in good general health and with no history of cardiovascular disease (but maybe on medication for raised blood pressure or lipids) you should not take daily aspirin - even at a low dose (100 milligrams; the normal tablet sizes are 300 and 500 mg). We're not talking about an occasional aspirin for aching muscles; what this major - and importantly prospective - trial shows is a small increase in all cause mortality, primarily from cancer. There are good data supporting an even lower dose of aspirin (41 mg/day) in those who have had a heart attack, in what is termed secondary prevention; the three papers published back-to-back in the New England Journal of Medicine today explore the possibility of primary prevention in subjects without a history of cardiovascular disease. It shows a possibly protective effect against what are termed major haemorragic events, more than outweighed by a significantly increased incidence of various cancers, taken as a whole and for colorectal cancer alone.. Most previous studies in the area have been relatively small, and when they are combined in what is termed a meta-analysis they show that aspirin appears protective against colon cancer. Such studies are almost always over a much wider age range, and in addition also commonly differ one from another in design, length of follow-up and interpretation. My wife and I are both over 70, and I'm more than happy to follow what the results of Professor John McNeil's studies show; if my offspring, aged between 47 and 51 were to ask me should they lower their risk of colon cancer with aspirin, it's their call, but I'd say no. The so-called ASPREE study was very large (over 19,000 subjects), with over 9,500 in each of the two groups (aspirin, placebo). It was also largely ( 7 of every 8 subjects) Australian, 98% classified as white; among the Americans, 45% were white, and the remainder of other ethnicities, the latter accepted into the trial beyond the age of 65 rather than 70. The two countries track remarkably similarly on almost every index, the exception being that Americans were five-fold more likely (36.7%) to have been regular daily users of aspirin than Australians (7.2%). ASPREE is a study that was probably long overdue. It has been obvious since the 1990’s that there was a need for a trial of aspirin for primary prevention in people age 70 and over. But whereas funding for major trials typically comes from the pharmaceutical industry, aspirin is a drug that is off patent and is therefore a study that could only be done with public funds. It is to the great credit to the US NIH and the Australian NHMRC that they recognised this need and underwrote the substantial cost of undertaking a study of this magnitude. Another unique feature of ASPREE was its setting in the community, both in Australia and the USA. Recruiting healthy elderly individuals required the assistance of hundreds of general practitioners, traditionally a difficult area in which to undertake major research projects. 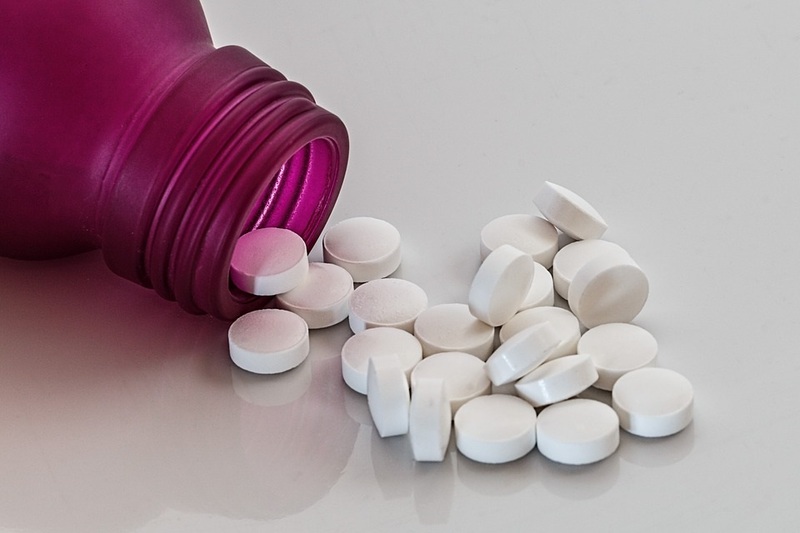 However the question of whether or not to prescribe aspirin to the healthy elderly is one that is faced regularly by a typical general practitioner and ASPREE was therefore directed at a question fundamental to their day to day practice. In the end the answer to the question can be boiled down to a simple proposition: 'if you are elderly and don’t need it, don’t take it.'" John reports non-financial support from Bayer AG during the conduct of this study. Professor Mark Nelson is a Professorial Research Fellow at the Menzies Institute for Medical Research and Chair of General Practice at the University of Tasmania and a co-author of the ASPREE study. ASPREE has demonstrated that assumptions of benefits and harms derived from trials in younger age groups cannot simply be applied to the elderly as a more holistic approach is required due to competing diseases associated with ageing. ASPREE is therefore an exemplar for future clinical trials in this population. ASPREE itself also benefited from the goodwill and altruism of its participants and Australian general practice and practitioners without whom a trial of this magnitude could not have been conducted. The three ASPREE trial publications in the latest edition of the New England Journal of Medicine represent one of the most important studies cautioning on the use of medications in the ‘healthy elderly. The ASPREE study, a randomised placebo controlled trial of the relative benefits and risks of low dose aspirin on ‘disability free survival’ in over 19,000 relatively healthy people aged 70 year or more has major implications for the use of low dose aspirin worldwide. It was conducted jointly by Australia and the United States, with the bulk of the volunteers (16,000) recruited through General Practices in Australia. It is the largest study of its kind conducted in Australia and the first of its kind to focus on disability free survival in this age group. Importantly the trial showed no evidence of net benefit for low dose aspirin taken on average for just under 5 years on the likelihood of survival with no major physical or mental disability. There was no significant reduction in cardiovascular events in the trial, which contrasts with studies in middle aged or older people receiving aspirin for established disease. The results do not detract from the benefits of low dose aspirin in those who already have established cardiovascular disease with symptoms, but caution on the use of low dose aspirin in the elderly without a strong indication. Professor Garry Jennings is from the University of Sydney and Executive Director of Sydney Health Partners. This is outstanding Australian led research addressing an important health question for the community. It is well established that aspirin saves lives when taken by people after a cardiac event such as a heart attack but whether it helps in people who have not had an event, particularly the elderly has been unclear. The benefits of aspirin are related to its action in preventing clots but the same effect increases the risk of bleeding. It is important to know the balance of risks and benefits and ASPREE has shown that in older people who have do not have a history of cardiac or vascular disease the odds are tipped towards bleeding risk. There is no more conclusive evidence of this issue than ASPREE which was well powered to clarify the risk vs benefits and conducted in an exemplary fashion. The results support the present Heart Foundation position that aspirin is not recommended for people without a history of heart disease. The present recommendations for people with heart problems to take aspirin on the advice of their doctor remain. ASPREE substantially clarifies the question of who should take aspirin and who should not and will thereby help save lives and prevent needless bleeding complications including stroke. There will be much more important information from ASPREE as further analysis proceeds on the wealth of data it provides. In the meantime the message is simple. Most people with a history of heart or vascular disease will be advised by their doctor to take regular low dose aspirin. Those without a history generally need not.